Preheat the oven to 400 degrees. Spray a loaf pan with non-stick cooking spray. I like a coconut oil spray. Add all of the wet ingredients to a blender or food processor and blend until smooth. If the honey sinks to the bottom, you might have to stir it around a bit with a spatula to incorporate it all. Pour the wet ingredients into the dry ingredients and stir to combine. 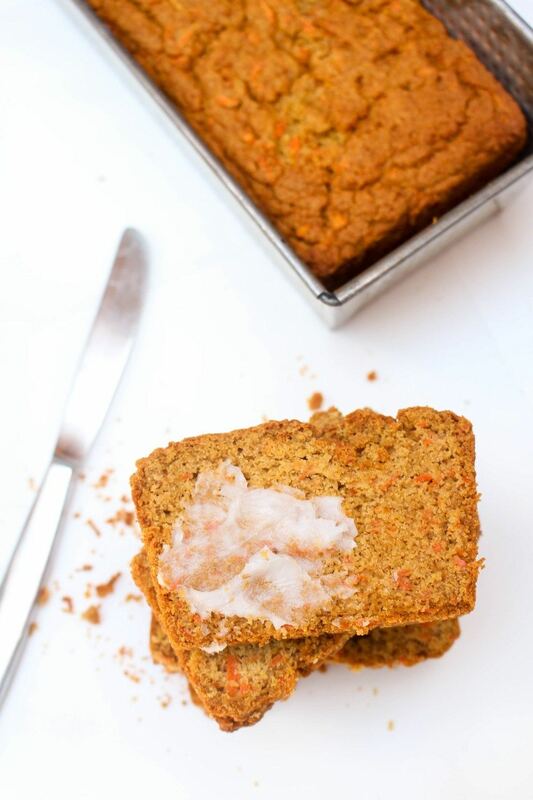 Fold in the carrots and pour into the loaf pan. Add the bread to the oven and immediately turn the temperature down to 350 degrees. Bake for 50-60 minutes. Remove from the oven and allow the loaf to cool in the pan for 5 minutes. Remove from the pan and cool completely on a wire rack, about 2 hours, before serving.